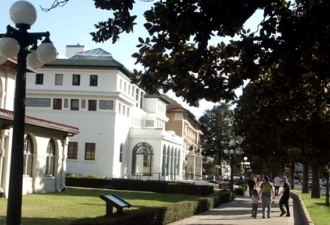 Hot Springs National Park is an unusual blend of a park. Bordering part of a small city, surrounded by low-lying mountains, abounding in plant life and wildlife, the 5,500-acre park is the oldest federally designated site within the national park system. It was named Hot Springs Reservation in 1832. Its terrain is mostly mountainous: Hot Springs Mountain (where the 47 hot springs emerge), West, Music, Sugarloaf, Blowout, and Indian mountains are all within park boundaries. People have used the hot spring water for therapeutic baths for more than two hundred years to treat rheumatism and other ailments. Many people still come for the thermal waters in two active houses on historic Bathhouse Row. The Quapaw Baths & Spa provides a touch of glamour with a modern spa inside one of the National Historic Landmark bathhouses. The Buckstaff Bathhouse offers a traditional bath treatment and is the only bathhouse on the Row that has been in continuous operation since it opened in 1912. Both offer great ways to revitalize the soul and relax the mind and body. While bathing in the thermal water is a great way to spend the day, the park also maintains 26 miles of hiking trails. Just beyond the city's busy streets, the trails of Hot Springs National Park lead you into the quiet beauty of lush Southern forest. Trails traverse several mountains and offer stunning vistas of the city and surrounding area. Many trails are short connecting routes that get you from place to place. Others are perfect for a longer walk, an afternoon of birding, or family adventure. 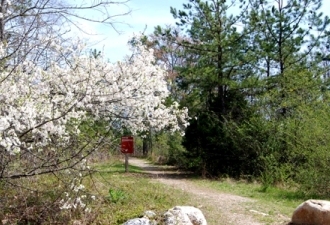 These trails offer a chance to slip away for a few minutes or a few hours, and discover the natural side of the park. Explore the beautiful Zigzag Range of the Ouachita Mountains that surround the city and are part of the national park. Bring a friend to make your hike more enjoyable, and be prepared: wear proper footwear, protect yourself from the sun and other elements, take plenty of water, and tell someone where you are going. And, please remember to “Leave No Trace.” Keep the trails as clean as you found them, if not cleaner. You'll find trail maps and information at the visitor center and online. 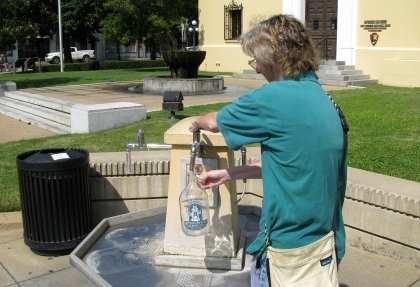 Hot Springs National Park allows visitors to take home the waters it protects. Drinking the hot spring water is perfectly normal, even encouraged. Go ahead. “Quaff the elixir,” as they used to say in the heyday of the spa. Thousands of visitors highly endorse the good quality of the free hot spring water and fill bottles to take home. Bring some bottles to fill or purchase souvenir bottles at the park store, Bathhouse Row Emporium.